Are you at a crossroads in life, unsure of what direction to take next? If so, I have one piece of advice for you: follow your heart. 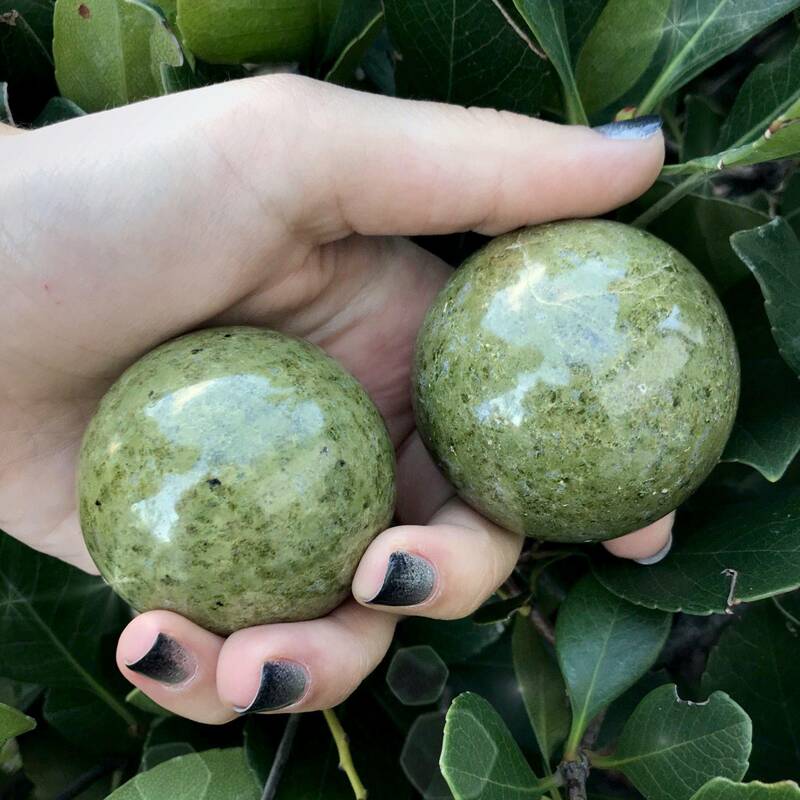 These stunning Follow Your Heart Vesuvianite Spheres are ready to lead you on a path of transformation and expansion. If you’re ready to tune into your innermost wisdom and start living from a place of deep authenticity and love, this is your offering. 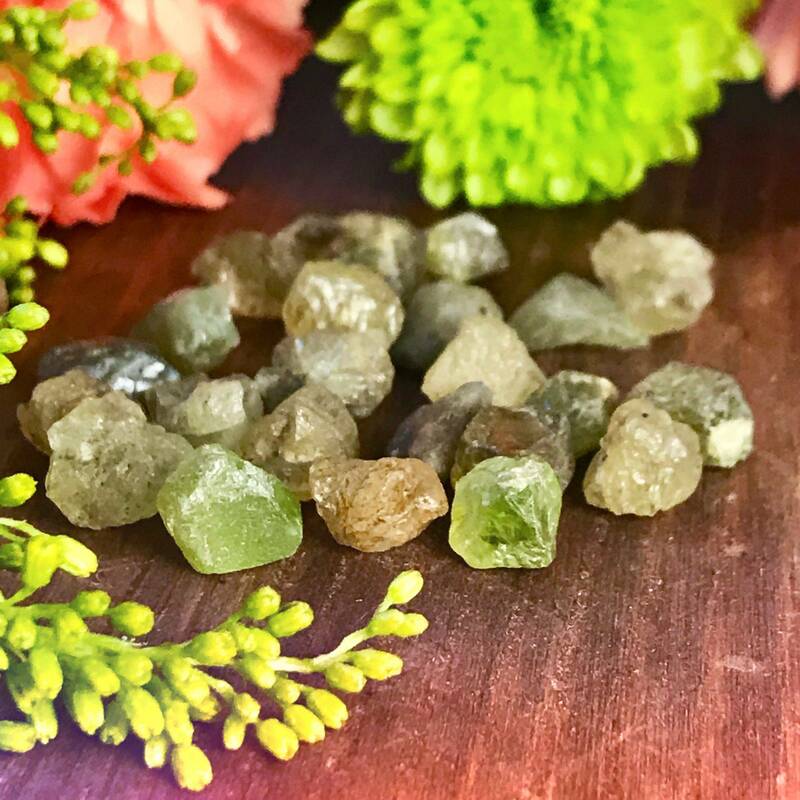 Vesuvianite is the stone of following your heart’s desire. This gem calls forth energies of transformation and wholeness, and it aligns your inner will with the desires of your heart. It grants the courage needed to walk your soul path and helps you embrace the goals and needs of your Higher Self. If you feel disconnected from your inner magic, like you’re not living to your fullest potential, this is your gem. This stone will connect you with your inner knowing and reveal what you need to do in order to fulfill your heart’s desires. 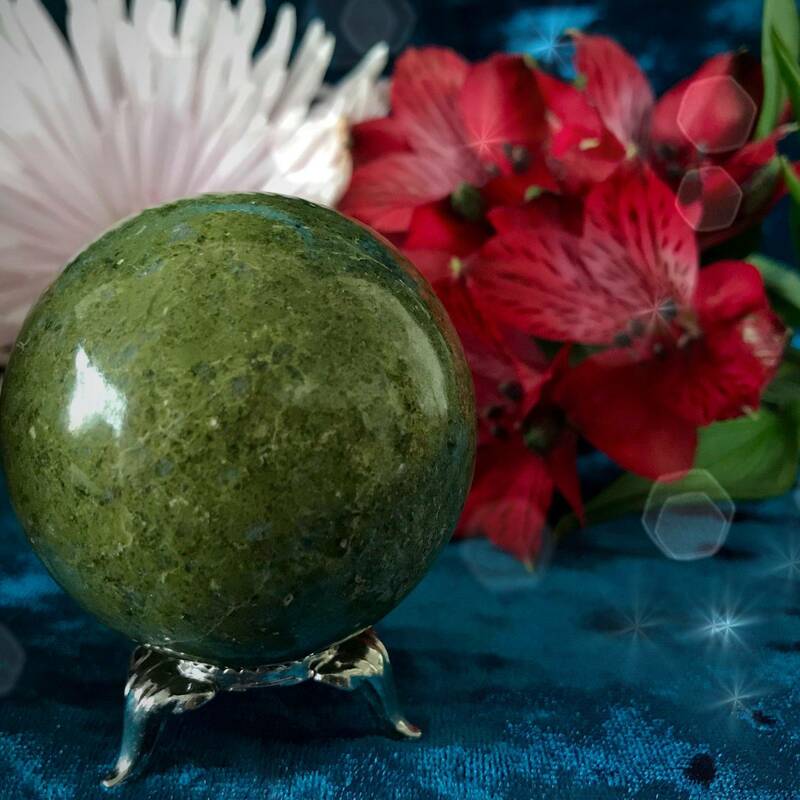 Hold your Follow Your Heart Vesuvianite Sphere in meditation or place it on your altar to harness its otherworldly magic. 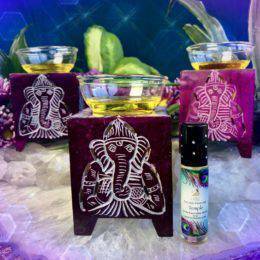 As you work with yours, attune to its enlightening and empowering energy. Feel your heart space opening and activating, sharing the great wisdom it holds with the entirety of your being. Rest still in the knowledge that some of the most powerful magic you hold lies within your heart; allow this magic to flow through you freely, as it was meant to. 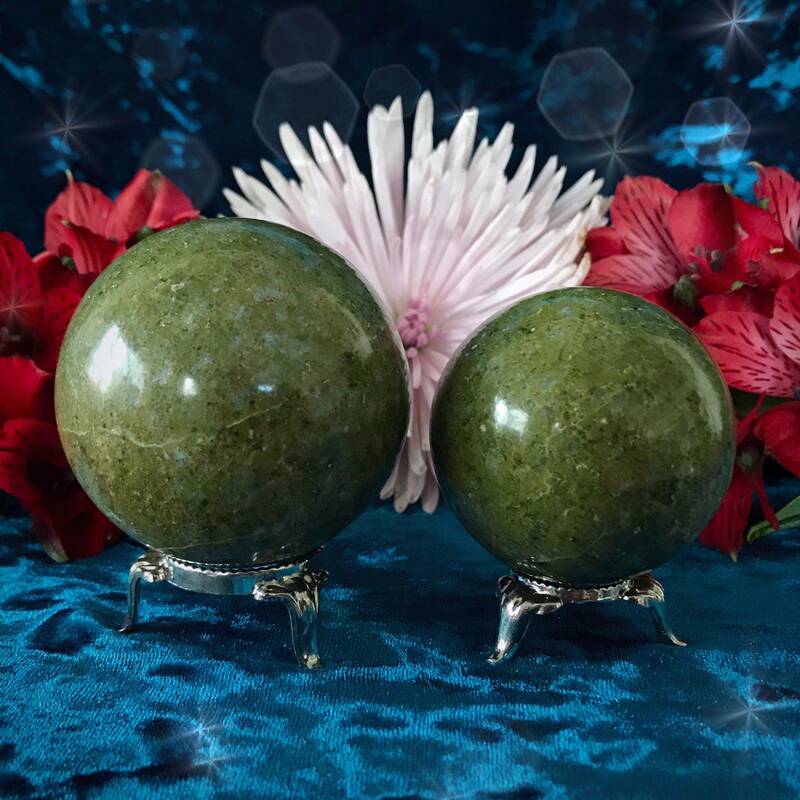 This listing is for one (1) Follow Your Heart Vesuvianite Sphere. 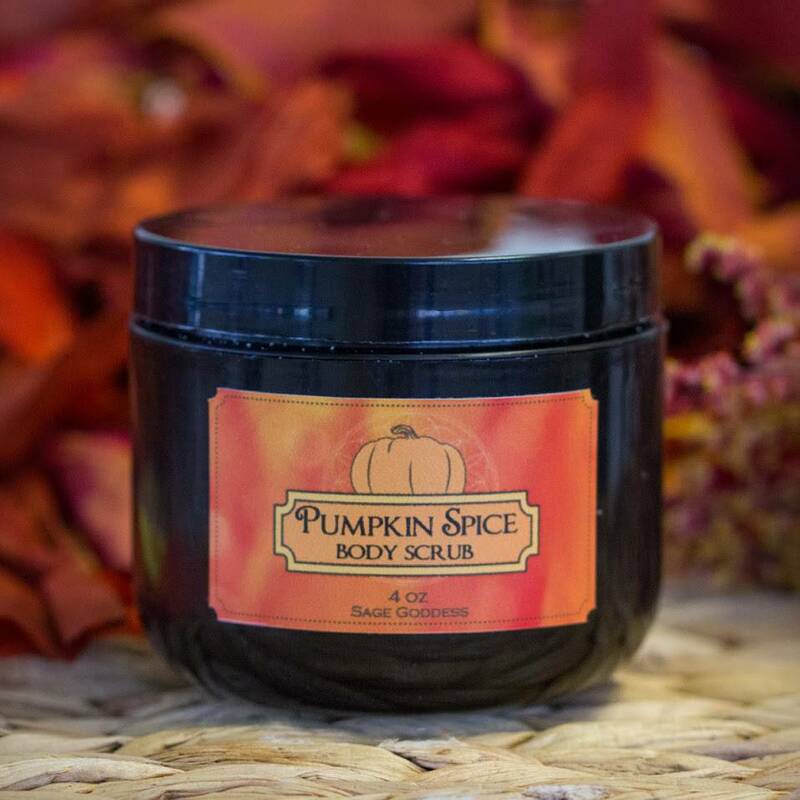 I have two sizes to offer you: Small (about 1.5-2”) and Medium (about 2-2.5”). Yours will arrive lovingly parceled along with a single leaf of white sage and a card describing the properties of the stone.